Soccer is the beautiful game, played by millions of young girls and boys (aged 6 to 18) across many continents, whether it’s on the beaches of Rio, the back alleys of a major city nearby or the local park, you will find someone kicking a football around. In today’s society there has been a shift to more organised soccer practice for our youth players. Gone are the days of jumpers for goal posts, as streets are littered with cars and grass verges now have houses built on them. Having a more structured approach is both a good and a bad thing; on one hand young players get structured development and education through willing volunteers who show them how everything from how to warm up correctly, develop their technical ability with the ball right through to skill development and organised small sided games to wrap everything up together to provide a total learning experience. Today time is limited and therefore there may be only an hour or two devoted to structured soccer practice during the week, what happens when practice is over? Getting your child to participate in an organised soccer school or club can bring tremendous benefits to you and your child. Soccer can help increase your child’s self esteem, which feeds their self talk which ultimately drives their performance. But soccer isn’t the only winner, quite often it can be seen that academic performance can increases to! Studies have shown that getting young children involved in soccer at an early stage promotes a real healthy attitude towards the game and this attitude continues with them into adult life. The number one reason why children play soccer is to have fun; if soccer is fun and enjoyable then players will want to continue playing. This benefits their overall fitness and reduces their health risks considerably. Soccer is made fun by coaches worldwide who willingly give up their time voluntarily to organise youth soccer practice and coach teams. Many of the life skills that the players learn through soccer are beneficial in later life, how to form and build relationships, developing a sense of co-operation, how to lead people, how to handle adversity, what commitment means and punctuality, are all key qualities that will benefit the players in adult life. 1) What level of commitment is required in terms of practice sessions and games at the weekend? 2) When are the training sessions? When are games played, what’s the format and how much time will you need to devote? 3) How far are you willing to travel to training and to matches? Some clubs will operate travel teams where distances can be considerable, including overnight stops. 4) What are the costs involved? Some clubs adopt a pay when you play, others a more structured approach. The most expensive clubs are not always the best, ask yourself is what your paying in the equivalent to what your child is getting out? 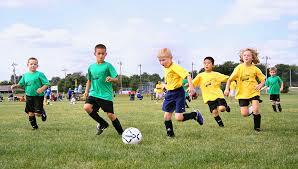 5) What do you and your child want out of playing soccer? This needs to be aligned with the prospective clubs philosophy, is it about having fun or winning? 6) How best will your child learn, develop and stay interested? Are they happy just to be involved or would they thrive in a more competitive environment? 7)What is the clubs constitution and philosophy to soccer, how long have they been in existence, the experience of the coaches, location, facilities etc. Once you have considered the above questions what are your next steps to finding a suitable club or soccer organisation for your child? Click here to learn more about video surveillance and access control!